You can setup Navigation menu from Dashboard > Menu > and then ‘Create a New Menu’. 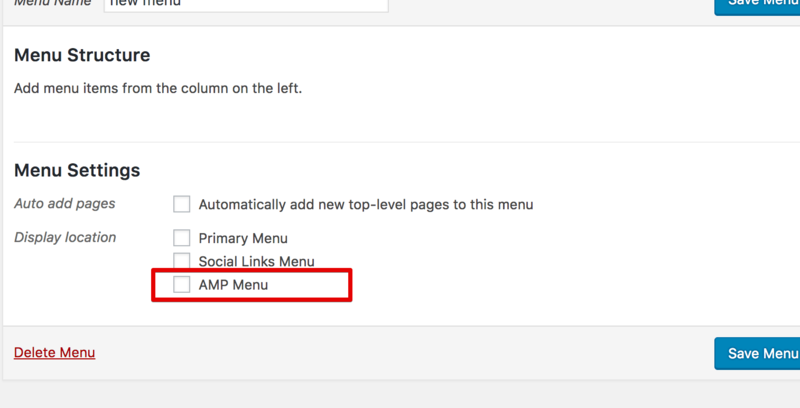 When you are in the Menus section of WordPress, Then create a new menu, then add the menu items according to your needs and set them as “AMP Menu”. I just can’t seem to get this to work. I have created the Menu; however, when I click on one of the items, the AMP version of the website does not appear, I get the desktop version. Additionally, when I attempt to see my website by adding the “/amp” to the URL, the from page does not display properly, and when I do it for the different categories, the AMP version does not appear. I do not know if I am explaining myself correctly; however, if you visit my website you will be able to determine what I am saying. I would love to be able to use AMP, but I need help configuring it.